This troubleshooting page is supposed to help you solve the most common issues and mistakes. These problems and solutions are based on the user experience of Redworx CS:GO Cheat. The updater is stuck at “updating…”. CAUSE: Missing permission or access to web. SOLUTION: Run the software as administrator and whitelist the software directory in your antivirus as well as *.redworx.net domains in your firewall. CAUSE: Missing .dll files or other files. SOLUTION: Make sure all three .dll files are located inside the cheats folder as well as an mp3 folder with sound files. I can’t start the cheat or updater (e.g. Error: “File can’t be accessed because it contains a virus.”). 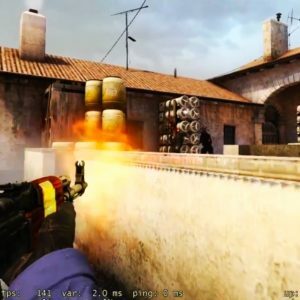 CAUSE: This issue is caused by your Firewall or Antivirus software, which is blocking the cheat file or updater file because they are either accessing the network or the csgo.exe game process. SOLUTION: Whitelist both executable files or deactivate real time virusscans and on access virusscans. The cheat is showing unhandled Exception with message “Access denied”. SOLUTION: If the game process can’t be accessed, make sure to run it as administrator. Running as administrator should also give access to recent.sl. If recent.sl still cannot be accessed, uncheck “Save Login”. The cheat is closing after I start it and login. CAUSE: The game process csgo.exe isn’t running or can’t be accessed. SOLUTION: Make sure csgo.exe is running and the cheat has got access to it (run it as an administrator). The Game is crashing after every Match. CAUSE: Certain features are running durring map change or returning to menu. SOLUTION: Press F11 to deactivate all features at once at the end of the final round of a match. Aimbot doesn’t work or only works partly. CAUSE: Not all profiles are setup or lock button isn’t set. SOLUTION: Set all the settings for every weapon profile and make sure you have set the proper button. Skinchanger doesn’t work or crashes the game. CAUSE: Not all weapon profiles are set or not set to valid settings. SOLUTION: Make sure all weapon profiles are set to valid numbers (e.g. Wear: 0,9-0,01). CAUSE: When pressing the update key (applying skins) the knife isn’t selected. SOLUTION: Make sure you have the Knife selected when pressing the update key (applying skins).